The summer is a busy time in Virginia Beach, with beachcombers from around the world heading to our sandy shores to soak up the sun, particularly along Atlantic Avenue and the boardwalk at the Resort Beach. If you’re like us, beach time is of the essence, so we want you to get there quickly and safely, but we also want to encourage taking some time some time to stop and smell the flowers, too. So, for a better way to the beach, try these routes suggested by locals. Whether you’re a vintage, architecture, art or nature lover, you’ll love these ways to get to the Resort Beach. Drive east and westward along 17th Street, once the only gateway to the beach, and get a feel of vintage Virginia Beach. Soak up some of the area’s most iconic architecture, including the nation’s first existing convention center to earn LEED® Gold certification from the U.S. Green Building Council, as well as Virginia Beach’s emerging arts district. 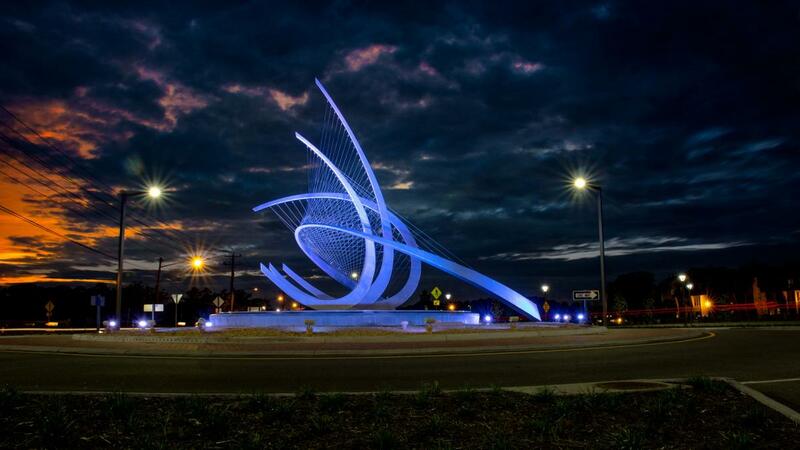 The new Laskin gateway shows off one of Virginia Beach’s most treasured works of art, the iconic “Wave,” a 35-foot stainless steel sculpture that towers above the roundabout. Refresh your senses with a scenic ride along Shore Drive, and immerse yourself in the pristine nature of First Landing State Park, the site of the Jamestown colonists’ first landing in 1607. And don’t forget to check out our other two beaches, too – the Chesapeake Bay Beach and Sandbridge Beach, each offering a distinct, laidback vibe from the Atlantic Ocean to the Chesapeake Bay.